You probably have good intentions about improving your health in the New Year. In addition to limiting sweet treats and other pound-packing goodies, you likely will aim to ramp up your fitness goals. It’s no surprise that January is the busiest time for gyms when people are trying to shed the weight they put on during the holidays. 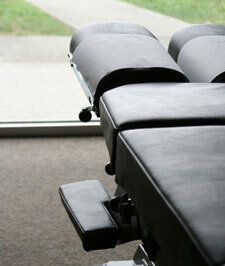 While daily exercise is essential to overall good health, the chiropractic adjustment is as well. Whether you like to run, bike, swim or CrossFit, chiropractic can allow your body to function at its peak so you can work out and enjoy all of the associated health benefits. If you do happen to get hurt while at the gym or on the court or field, chiropractic can reduce your recovery period. Make getting regular chiropractic adjustments part of your New Year’s resolution. We’re confident that you’ll feel the difference that this safe, effective and natural form of health care can make when it comes to your well-being.